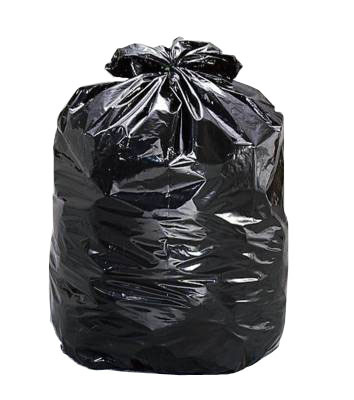 If you’ve spent even a little time in a gym there is a good chance you have seen it: that person who jogs away on a treadmill or other cardio machine, wearing what looks like a garbage bag, sweating profusely on everything around them. Why would anyone subject themselves to this? “It helps me lose more weight because I’m sweating more,” is what you’ll usually hear. Well it’s time to dispel this myth. Sauna suits have been used for years by people seeking to lose weight fast. Whether it’s a specially made suit that you got from a sporting goods store, or even just saran wrap, far too many people have been pulled in by the idea that sweating more means you are burning more calories and thus will lose weight faster by wrapping yourself in plastic while working out. The problem with this logic, however, is that it just doesn’t work. For starters, sweating more does not necessarily mean you are burning more calories. It means you’re hot. 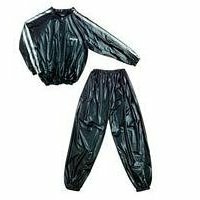 The reason you sweat more while wearing a sauna suit is that since your skin is covered in plastic there is no way for the skin to dry, thus cooling down your body. Does everyone remember learning in biology that sweating is how your body regulates its temperature? Since your sweat doesn’t evaporate due to the suit, your body cannot sufficiently cool itself and your body temperature may actually reach dangerous levels. Combine this with the dehydration involved with sweating so much and you’ve possibly got a disaster waiting to happen. Remember that even a small change in your body’s hydration (as little as 2%) can have drastic changes on your physiological function. Higher levels of dehydration can easily cause dizziness, fainting, weakness, confusion or worse. So what does this mean for fat loss? While sauna suits may result in a small loss in water weight immediately after exercise this doesn’t mean that you have effectively burned more body fat than you would have without the suit. On the contrary, by dehydrating yourself you may actually end up making it harder for your body to let go of body fat, not to mention any loss of water weight will be replenished as soon as you are adequately hydrated again. Remember, I didn’t say that these suits won’t make you lose weight; I said that they won’t make you burn more body fat than normal. These suits originated from wrestlers and other athletes who needed to make a certain weight class and had to cut weight fast before weighing in. Even in that crowd they’ve been discarded: rubber “sweat” suits were banned by the NCAA after the deaths of three wrestlers in 1997. You want to lose weight? Follow a good diet and proper exercise routine. Sorry, but there is no “easy button” here. You get what you put in. So do the work and you’ll see results.